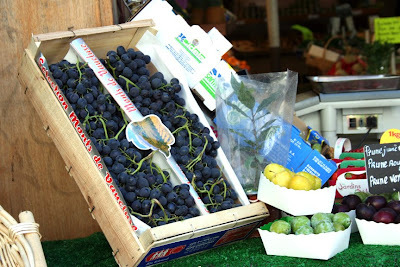 We picked up some grapes at the market. The green grapes were sweet and delicious. The red grapes were not as sweet but so full of flavor. And look at that color. They were just so beautiful. I don’t think I need to say anything. The picture speaks for itself. 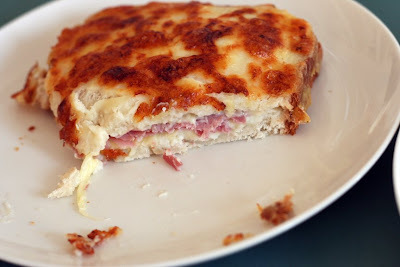 You can’t go to France and not have a croque-monsieur. 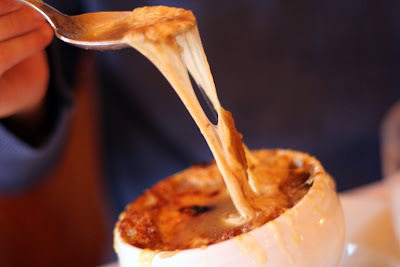 The sandwich shown here was cooked with béchamel sauce. AAAAHHHH-mazing. Nate picked these little cookies up at the market. They were so good. 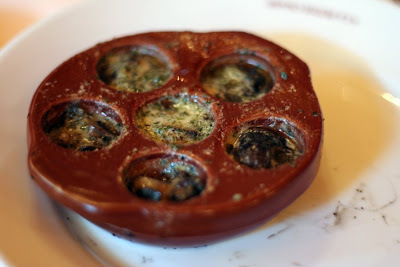 Honestly, food in France is just better. 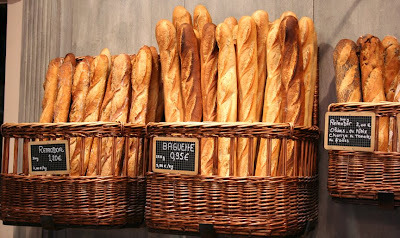 For example, where you would get a hot dog in the US, in France you get a baguette with great butter and ham. In the US, a donut. 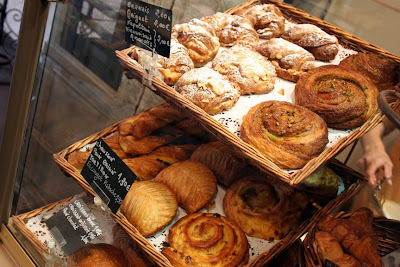 France, a pastry. These little store-bought cookies are just another example of the yumminess of French food. Don’t you love the world close-up? 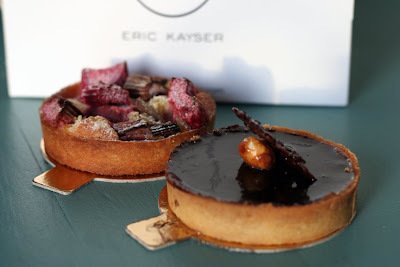 How about some lovely tarts today? Chocolate and rhubarb sounds good to me. P.S. They just don’t make ’em like this in the States. How I wish you all could taste this crust. Amazing. Our trip to Paris has been especially fun because we happened to be here on our annivesary. Parfait! 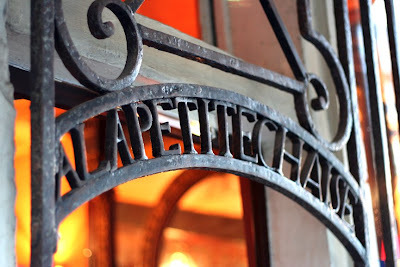 For our anniversary dinner we decided to go to La Petite Chaise, the oldest restaurant in Paris. It was great for so many reasons. 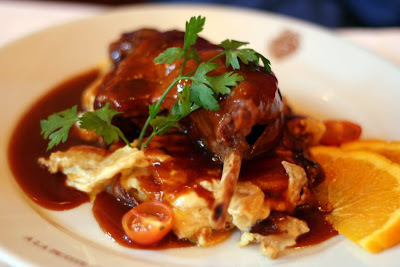 The restaurant happily accommodated the stroller, everyone who worked there was so friendly, the meal was very relaxed and the traditional French food was delicious. Finalement, dessert! 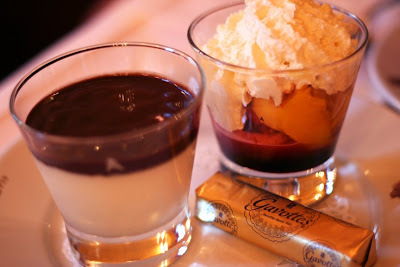 Délice de La Petite Chaise (sorbet mangue et cerise, griottes, chantilly”¦) et mousse au chocolat blanc avec sauce chocolat. The délice was a cherry & mango sorbet with a bunch of other yumminess. The white chocolate mousse was PERFECTION. After spending the morning in the Louvre, we stopped at a small cafe for lunch. We ordered a baguette avec poulet and some traditional veggies. This was honestly one of my favorite meals so far. 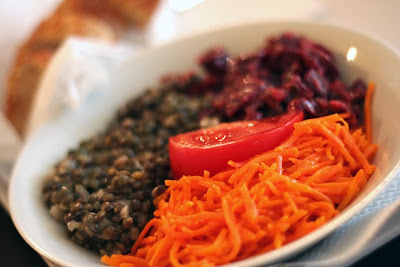 The vegetable bowl had traditional shredded carrots, beats & lentils. All three were great, but I think the lentils were my favorite. 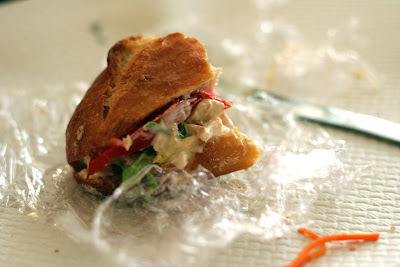 The chicken in this simple sandwich was roasted and packed full of flavor. And of course the baguette was amazing. See that pastry on the top left? That was breakfast the other morning. 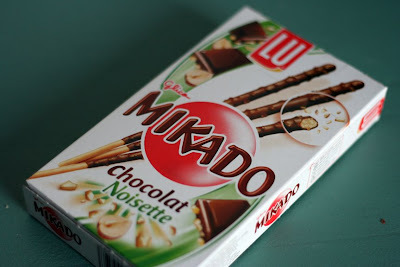 Almond & chocolate yumminess. 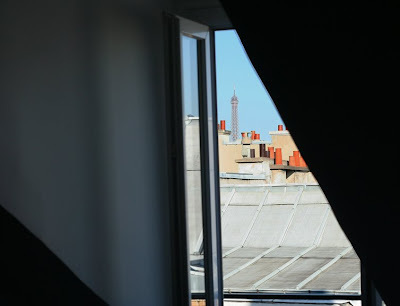 …and gazing at the Eiffel Tower. Is this really my life? I don’t believe it. Paris is unbelievable. I honestly think it is safe to call it the most beautiful city in the world, with more to do than one can imagine. 1 week is simply not enough time. Our apartment is literally steps from the Louvre, Musée D’Orsay & the Seine. I could live here forever, well except that I might end up with brain damage from multiple concussions due to the mansard roof. 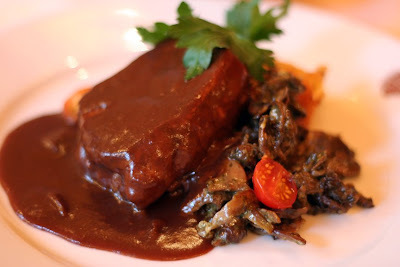 I have much to report on and oodles of deliciously French food to share with you. 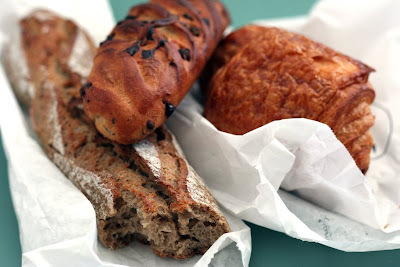 Until then, help yourself to some baguette, viennoise and pain au chocolat.